Built with Dupont™ Kevlar® Fiber, Expedition Cable is our most durable Lightning cable yet. For the first time, we have introduced the Kevlar® to the outside of the braid, giving Expedition Cable extreme resistance to abrasions. The robust inner Kevlar® core can support over 100kg (220lbs) while the reinforced RF shield enables fast data sync across this MFi 1.5m cable. Designed for heavy everyday use. 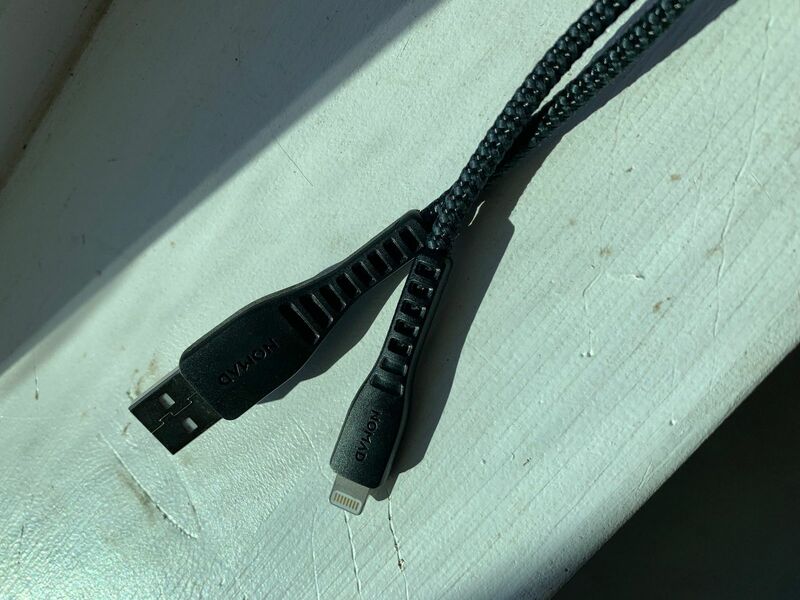 How rugged is the Expedition cable? The cable works reliably after 20,000 multi-directional 150 degree flexes at the Lightning connector. We achieve this industry leading certification by enlarging the diameter of the PVC jacket, copper wires, and the strain relief, as well as using high-quality plastics. At what speed does this cable charge? Expedition cable charges at the same speed as your white Apple cable. The speed of the charge does not depend on the cable, but the USB port's output power. This cable uses large diameter 20AWG copper so it can handle 5V/4.5A, far larger current than any Apple device draws. Our redesigned connector overmold optimizes for durability and a reliable charge, every time. Expedition Cable can withstand 20,000 multi-directional 150 degree flexes and is guaranteed to last for at least 5 years. The introduction of Kevlar® Fiber to the outer braid has enabled our strongest cable to date. Leveraging the inherit stength, durabilty, and resiliance of Kevlar®, used to build bulletproof vests and rugged tires, this cable will outlast even the harshest conditions. We’ve added an integrated, custom designed Liquid Silicone Rubber (LSR) cable tie for convenient cable management. This quick access, robust tie ensures that your cable doesn’t get tangled up. J. Aditya T. Reviewed by J. Aditya T.
Rugged and stylish lightning cable. First of all, I love the colour of the cable, and the rugged feeling of the cable. Also, the cable tie is a very good and thoughtful addition to the cable to keep all the cables tidy. Aftersales service is excellent, got a faulty cable, was replaced immediately after sending a video documentation. I'm one happy Nomad, thank you. Brent H. Reviewed by Brent H.
very sturdy, fabric is well done. been using for about a month now and no complaints. Bruce L. Reviewed by Bruce L.
I have no doubt on Nomad’s quality product, but this time they gave me an excellent experience when I was travelling to US. They talked to me and ensured the goods would deliver to the hotel during my short stay in US.